Movies studios, Netflix, and Amazon have teamed up to file a lawsuit against a streaming media player called TickBox TV. The device in question runs Kodi on top of Android 6.0, and searches the internet for streams that it can make available to users without actually hosting any of the content itself. 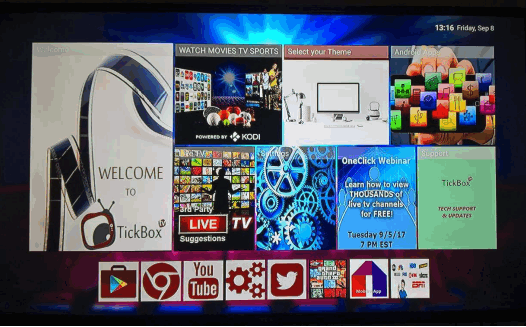 The complaint, filed Friday, says the TickBox devices are nothing more than "tool[s] for mass infringement," which operate by grabbing pirated video streams from the Internet. The lawsuit was filed by Amazon and Netflix Studios, along with six big movie studios that make up the Motion Picture Association of America: Universal, Columbia, Disney, Paramount, 20th Century Fox, and Warner Bros.